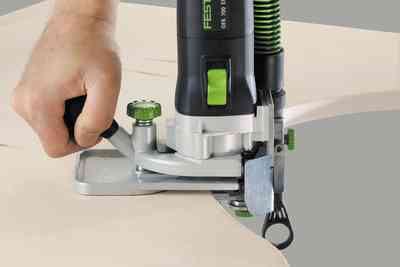 Impressive on straight edges and curves: The OFK 700 edge router is the multi-talent among edge routers. 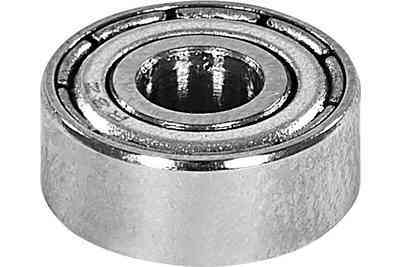 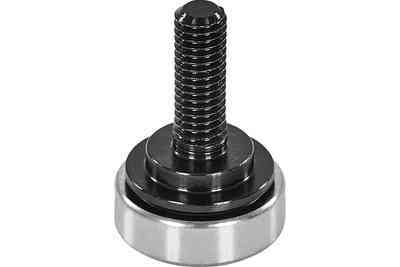 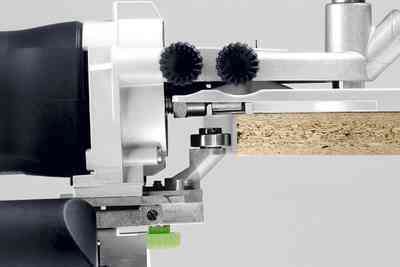 It makes easy work of trimming edges and surface projections, irrespective of whether the workpiece is large or small and whether the edges are curved or straight. 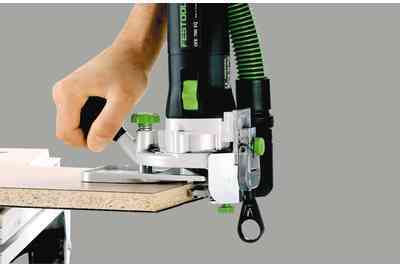 The large, easy to attach router table provides a stable surface area and secure guidance for the machine in any working position. 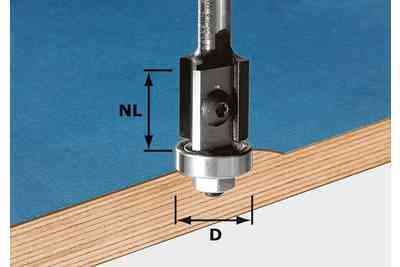 Optimum surface protection and reduced reworking thanks to the router table at a 1.5° inclination. 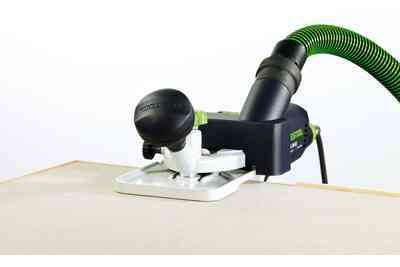 Stable surface area and safe guidance of the router in any position thanks to the easy to attach router table. 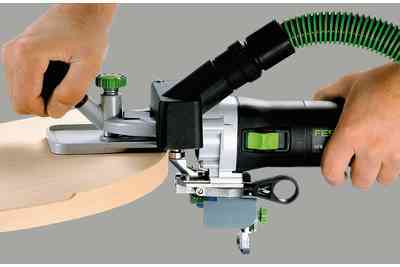 Laminated plastic edges are extremely hard and with other routers the cutter is only partially used. 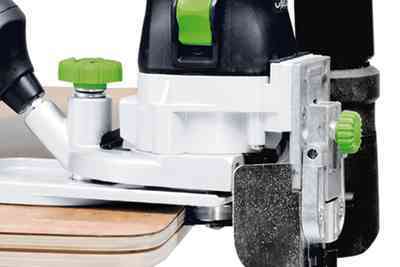 The OFK 700 has a moving contact pad to make use of the full potential of the cutter blade. 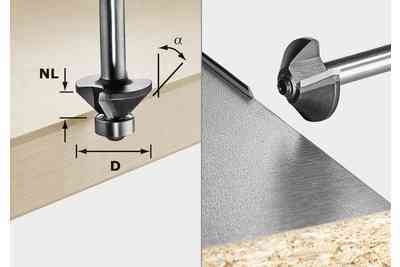 The contact spring compensates for unevenness on coarse edges, e.g. 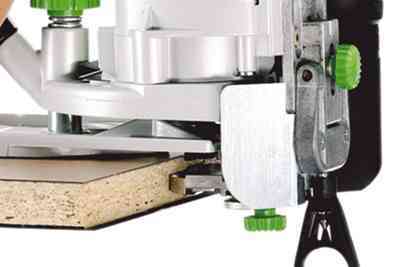 chipboard, to prevent errors from being transferred to the router and therefore to the edge of the workpiece. 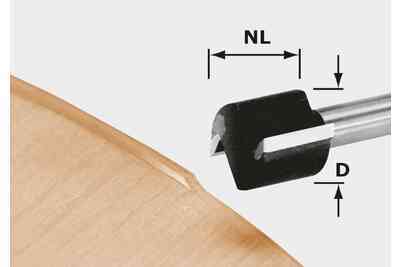 When working with closed surfaces, the contact spring can be replaced with a feeler roller. 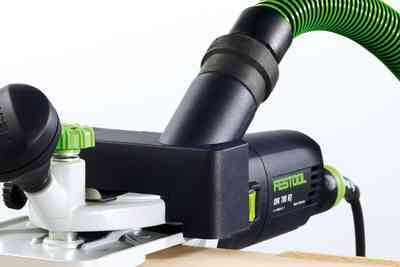 The bench of the OFK 700 is inclined by 1.5° to protect the surface from damage. 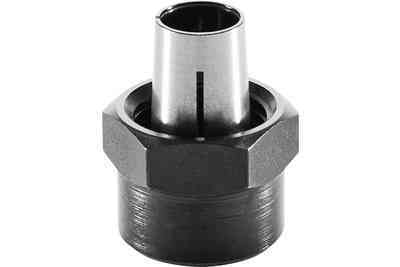 The slight inclination of the cutter prevents the surface from being milled off. 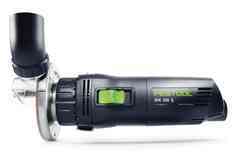 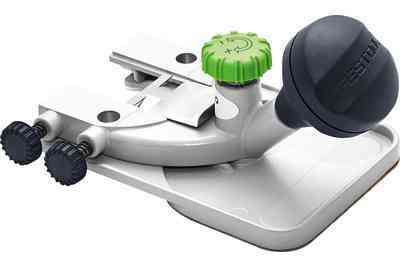 With the OFK 700, cutter replacement is quick and easy. 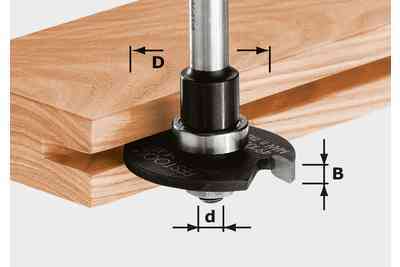 Actuate the spindle stop via the rocker. 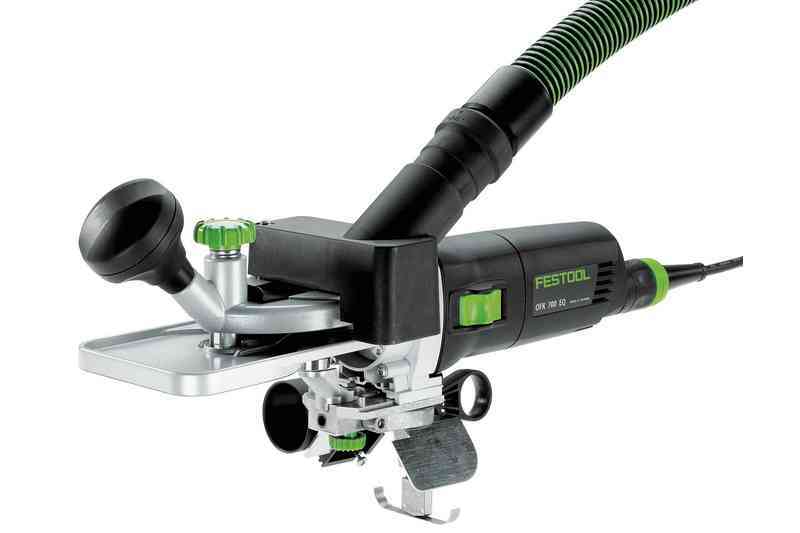 The OFK 500 extracts chips and dust in both a vertical or horizontal position with no trouble at all. 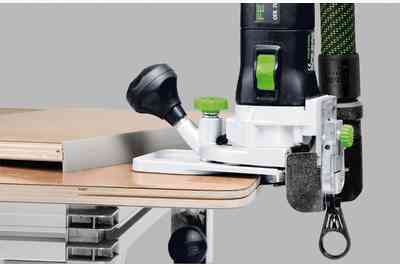 The design of the router table on the OFK 700 incorporates an opening on the support base to accommodate the veneer overhang. 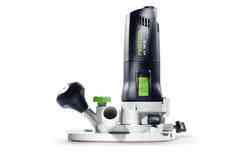 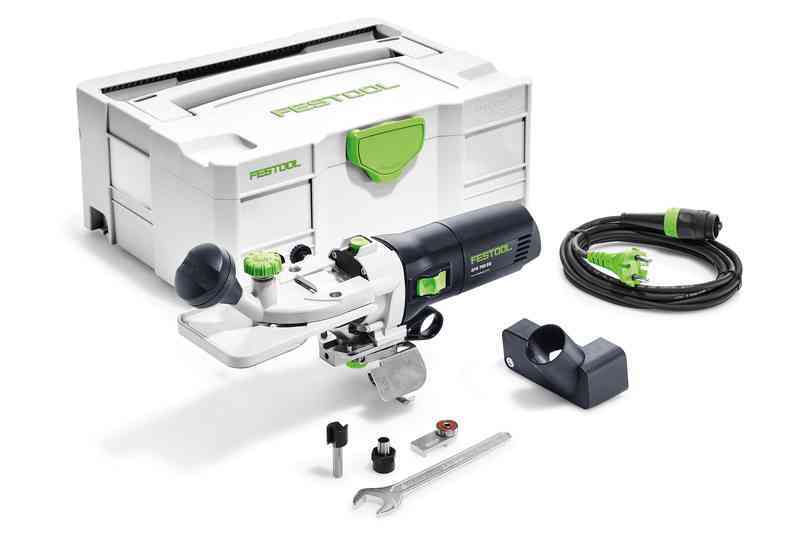 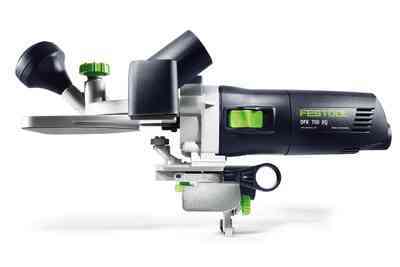 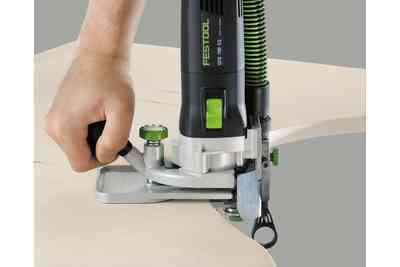 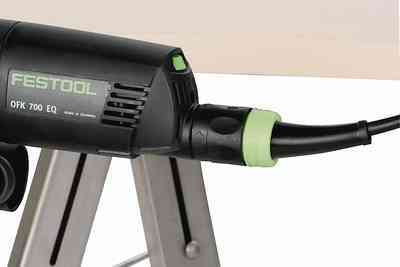 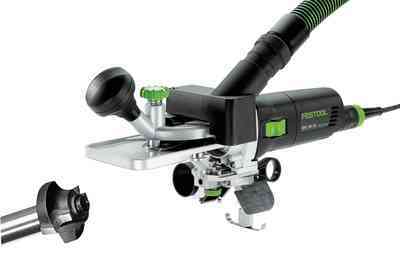 Veneer or strips can be routed flush and rounded at the same time using the correct Festool cutter. 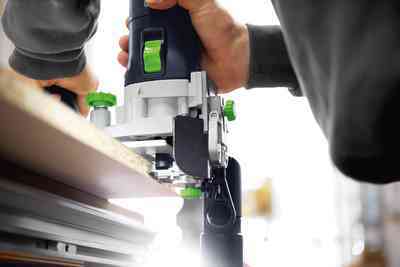 Because of the MMC electronics, the speed can be quickly adapted to the working material and is kept constant under load. 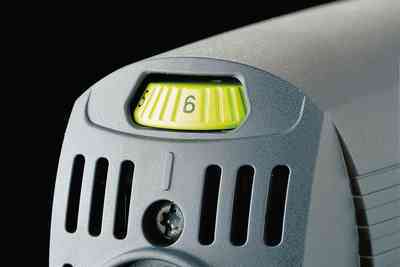 The temperature monitoring of the motor also guarantees a long service life.